Hello! Today I have a sneak peek at a new sentiment set that will be released from Paper and Such on the 9th! 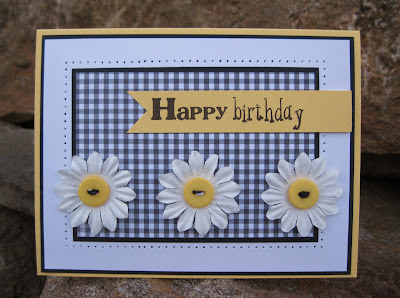 It's called Simple Sentiments and has 3 different sentiments and will sell for $5. Make sure you head over to the Paper and Such Blog and check out the big giveaway they have going on right now! Challenges I'm entering and supplies used are listed below. Thanks for stopping by and have a great day!! 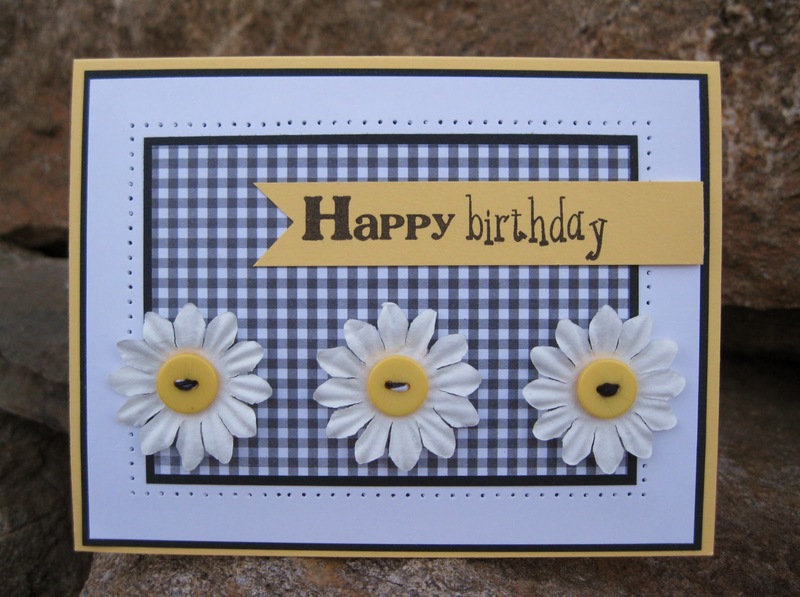 Love this with the gingham and the happy flowers! I love simple sentiment, I also love the card below with the bucket of apples!!!! gorgeous GF! You are the gingham queen my friend! This is adorable, a ray of sunshine!